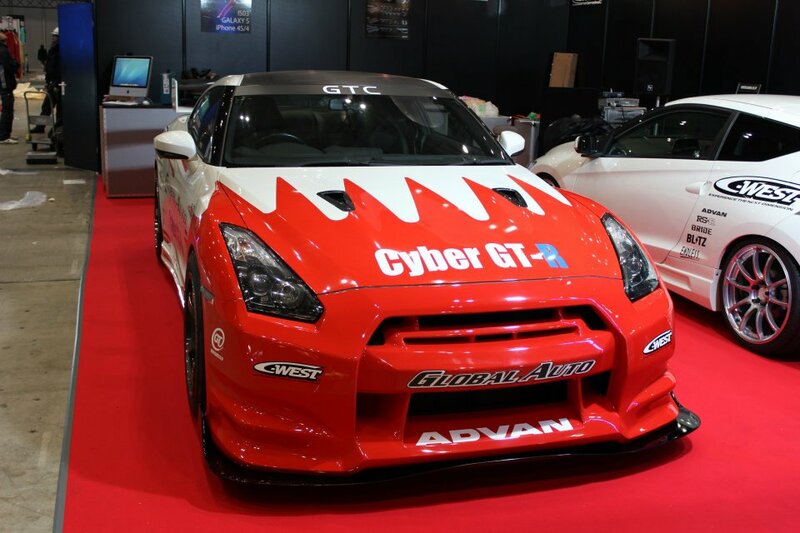 In this video Toshi Hayama runs us through the new Time Attack Cyber GT-R. In this interview he talks with Tarzan Yamada, the driver, and the rest of the Cyber crew. Cyber are building two cars. The first car shown here is the data/test car, and there will be another one that will go for the top lap times. They have it mapped out as a 2 year project, and are expecting to put out between 1000-1200 horsepower. At this stage, they are just getting started. Weight is an issue with the R35, so they will be fighting the weight demons in the R35 GT-R. How light can they get it? The Japanese are never very concerned with driver safety, so they always have minimal roll cages. Yokohama is going to be working with the team on the tires. C-West provides the aerokit, and light weight parts for the car.